Healthcare app development is the process by which an app is built for mobile devices with the intent of helping users effectively manage their medical conditions, fitness goals, hospital visits or insurance claims. This includes telemedicine, lab results reviews, prescription & appointment management and more. As technology advances, the need for mHealth apps is only going to increase. mHealth (mobile health) refers to the use of mobile phones and other technology in the medical industry. The primary uses of mHealth applications are to inform patients and healthcare professionals about preventive healthcare measures, treatment support, tracking the progress being made and assisting in clinical trials. It’s estimated that the global healthcare mobile app development market will grow and be valued at over $59 billion by 2020. On the consumer side, patients LOVE health care apps. In fact, 71% of patients said they would prefer if their doctors used a healthcare mobile app. On the provider side, the same applies. The use of medical apps has become frequent and widespread; 70% of medical school students reported using at least one medical app regularly, with 50% using their favorite app daily. The outcomes of amazing healthcare apps are clear, including reduced healthcare costs and reduced chances of medical error. The value is there, but are healthcare organizations ready to adopt mobile technologies in their digital transformation initiatives? The answer isn’t cut and dried. The reality is that building the first healthcare mobile app doesn’t always work out as planned. Digital Authority Partners works with some of the greatest companies in the healthcare space (Epocrates, Athenahealth, Omron, and Blue Cross Blue Shield, to name just a few). For every healthcare executive out there interested in developing their first mobile app, we put together this guide covering the top 9 considerations you should be aware of BEFORE you sign the dotted line to build your first app. Clarify the type of healthcare mobile app you are building. And why! Before anything else, you need to define the specific goal for your first health app. Don’t try to do it all. Also, think about who the app is intended for. Here’s what makes all successful mobile apps out there great. In the user’s mind, a connection is made between a mobile app and a specific use case. Like – I go to Facebook to decompress and see what my friends are up to, Linkedin to read professional news and network updates, Epocrates to get drug information etc. Bottomline: whatever app you build, make sure you answer this question first. My ideal customer will regularly use this app to do thing one thing. Now, we learn by example. So here’s a few great healthcare mobile apps that perform one function and they do it well. These apps are designed to provide & exchange medical information between doctors and patients. They can also be used to set up & manage appointments with your physician. Medibabble is designed to help doctors and administration staff communicate with patients who do not speak English. It is pre-loaded with the patient’s medical history and contains simple, clear examination questions in common languages including French, Spanish, Russian and German. To ensure the information is accurate, each phrase is checked by fluent physicians so non-native patients can receive the correct care. Lybrate is another information management app that enables doctors and staff to add patients to an appointment list, track payments and record treatments provided. The dashboard also lets physicians to track their team’s efficiency with up-to-date stats on tasks completed by supporting personnel. Patient monitoring & overall telemedicine services have really picked up in the last five years. A wide variety of healthcare manufacturers & software providers have rushed to enter this increasingly crowded space and create value more hundreds of millions of patients all over the world. For example, HeartGuide is a wearable blood pressure monitor (full disclosure, Digital Authority Partners worked on this project). The device can track heart data and inform a patient’s of how their behavior impacts the health of their heart. It then syncs to the HeartAdvisor mobile app & Alexa skill to provide real-time health insights to the user. Common patient monitoring apps also track the user’s location so as soon as they need help, they can receive help as soon as possible. In a survey of medical school faculty, residents, and students, 75%, 95%, and 55%, respectively, agreed that using a mobile device to quickly access educational resources while on the go had a positive effect on their individual performance. Examples include drug referencing apps that can inform a patient about the effects and benefits of a particular treatment and medical calculators that can calculate how often a drug needs to be taken. Epocrates is a mobile healthcare app that delivers current and safe treatment information when patients need it (full disclosure, Digital Authority Partners worked on Epocrates). It can also help check for harmful interactions with up to 30 drugs at a time and provide a communication platform between care teams. Pepid is another great example of an amazing medical app which works as a clinical decision support app targeted to ER physicians. One of its best features is the ‘Symptom Checker’ which can help diagnose patients quicker by suggesting possible ailments based on a patient’s symptoms, physical examinations and lab results. If you build a new healthcare app for your business, you need to make sure it’s a problem that people actually want or need to be solved. For example, only 11% of health systems offer patients proprietary apps that operate with at least one of the three functions that consumers demand most: access to medical records; the ability to book, change and cancel appointments; and the ability to request prescription refills electronically. So if you work at a hospital and want to build an app – make sure that app solves at least one of the problems highlighted above. Your app may also want to tackle the problem of getting healthcare to people in remote areas. Rural Health Information Hub shows that long distances can be a large problem in terms of time and cost to access healthcare. With a mobile app, they will be able to get a lot of the information they need through their phones. Bottomline: don’t build an app for the sake of building an app. Make sure whatever you do has real life applications and that your ideal target users can benefit from it and leverage it as soon as it’s live. Once you know about the problem your new healthcare app will solve, think about the other players on the market who have comparable or complimentary solutions. Competition can work both for and against your app. If there is competition, that means that there is demand for the product. On the other hand, the more businesses that compete in the same space, the harder it will be to get your brand noticed. Nevertheless, you cannot build a great healthcare mobile app unless you closely analyze what your competitors are doing. Use Google to search for keywords that are related to your app idea. Think of what your target audience would search for. Every business has a unique selling point (USP) that separates it from the rest. For example, your competitors may be the fastest to respond to patient queries or have a larger database of drug information. 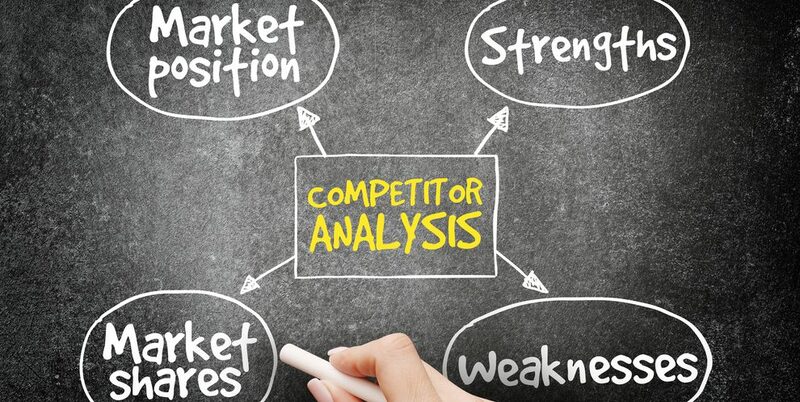 Knowing what competitors are using as their USP can help you find out your common target audience is looking for and determine your own. For example, the Digital Authority Partners’ philosophy towards helping our clients build a new health app is simple. We do our thorough analysis of the market, create a detailed matrix of all competitors’ main features, then determine the list of functionalities a new app should have that will make our clients’ app than any other app in the market. That should be the output of any mobile app competitor analysis you work on. If you look at the highest-grossing games in the App or Play store, they’ll have one thing in common: they’re free to download. Instead, they make their money by advertising and in-app purchases. You need to take the same approach and avoid the pitfall of charging to download the app. In fact, only 5.76% of apps are paid and that number is falling every quarter. In the healthcare space, in particular, the most common monetization method is actually subscriptions. If you have built a solid health app which collects data and provides health assistance, tips and tricks, this is the route to go. But overall, the only one thing we suggest you stay away from is paid apps. Those perform the worst. Most people want to “try out” a new app before buying it, so, even if you want to force all users to pay for your app, offer a free trial. Allow people to download and use your healthcare app for free for one month, then start charging a fee. Will your healthcare app work best on a mobile phone or on a tablet? Will it be built for Android or iOS or both? Think about what you are building as an ecosystem. Will you have an app AND a website? Can it be voice activated by Siri or the Google Assistant? Would it benefit from in-person interactions by making use of a camera? We live in an omni-channel world and in simple terms, digital users don’t interact with a company via only one channel. So you need to think upfront what is the perfect blend of touch-points for your app. This of course depends on a variety of factors. For example, elderly patients typically prefer websites & tablets while younger users may be more inclined to interact with your product via a mobile app and an Alexa/ Google Home skill. Therefore your ideal target audience should drive your multi touch-point strategy. Either way – one thing is certain: if you’re going to support multiple touch-points, at least think through this before you build and launch a product. You don’t have to build all these touchpoints at launch (see our next tip below for more details), but you need to make a conscious decision on what path you want to take from the get-go. When you start building a mobile app, the first instinct would be to build the best possible app out there. But that shouldn’t be the case. The optimal healthcare mobile app could take years to flesh out. Do not try and build the entire app in one day. Instead, build a Minimum Viable Product (MVP) and iterate it. There are multiple reasons for this. First – there is time. A simple app (aka doesn’t have a ton of functionalities) is faster to build, therefore it is easier to get it done and in the hands of your ideal customers. When you build a mobile product, time is of the essence. You should do your very best to narrow down the core functionality of an app, then make a list of additional features you will schedule, build and launch after the first version of the app goes live. Second, when you ship a healthcare mobile app quickly, you have the chance to build relationships with customers sooner. Early users are more likely to provide positive and negative feedback on your app and suggest changes or additions to it. So whatever health mobile app you’re building – you want to get user feedback ASAP – and then iterate on it. Third, when you define a mangable MVP, you can get your product to market quicker which will also help you test your marketing message quicker. Even if your app is brilliant, you may not get traction if your marketing and sales are poor. And even if the app is great, you may need to adjust your branding, positioning and even your core target audience – all of which is a lot easier to do if you go to market fast. Here is an example of an app that failed. A company created an app that was meant to cure acne by emitting blue light from the screen of a smartphone. It got more than 10,000 downloads at a nominal fee of $1.99 on the iTunes and Google Play stores. However, the Federal Trade Commission (FTC) took control and the app was swiftly removed from app stores. Why? Because there was no proof that the blue light actually cured acne. When you build your app, the outcome from it must be realistic and plausible. Mobile healthcare applications designed for doctors and other professionals should aim to save them time and money while increasing accuracy of diagnoses or treatment advice. Most importantly, patient apps must provide correct and relevant information. At the end of the day, you need to build products which lives up to the expectation you set forth for your product. And the better you get at clearly highlighting the outcome you want to impact, the better it is for your company – and your customers. Healthcare is one of the most regulated industries in the US. If your app runs afoul of any regulations, it risks being removed from the marketplace, being shut down permanently, fined by the FDA or you could even be sued by consumers. Here is an example of a company that failed to comply with regulations. Theranos was founded in 2004 with the ambitious goal of revolutionizing blood testing machines. They claimed it would spare patients the pain of traditional blood drawing methods and would test for a variety of potential ailments using just a few drops of blood. The company quickly found success, raising funds and growing its staff at a remarkable rate. Founder Elizabeth Holmes managed to attract $700 million of investment from savvy international investors, with the promise of changing the world. However, this success was short-lived and crumbled as quickly as it was formed. In October 2015, the Wall Street Journal published an article that the Theranos’ blood-testing machines didn’t actually work. The article said the company was both faking proficiency testing and using other commercial machines to complete the tests. Contracts were quickly terminated and lawsuits were filed by the investors. Holmes and former Theranos president and CEO Sunny Balwani were later indicted on charges of criminal fraud. The HIPAA Privacy Rule establishes national standards to protect individuals’ medical records and other personal health information and applies to health plans, health care clearinghouses, and those health care providers that conduct certain health-related transactions electronically. The law requires appropriate safeguards to protect the privacy of personal health information and sets limits and conditions on the uses and disclosures that may be made of such information without patient authorization. The Rule also gives patients rights over their health information, including rights to examine and obtain a copy of their health records and to request corrections. The HIPAA Security Rule establishes national standards to protect individuals’ electronic personal health information records that are created, received, used, or maintained by a covered entity. The Security Rule requires appropriate administrative, physical and technical safeguards to ensure the confidentiality, integrity, and security of electronic protected health information. All mobile health apps must abide by the Health Information Technology for Economic and Clinical Health (HITECH) Act, which promotes the adoption and meaningful use of health information technology. The goal is to strengthen the civil and criminal enforcement of HIPAA rules. It addresses the privacy and security concerns associated with the electronic submission of health information. You can find more about HITECH here. Although there is a review process for new apps for technical reasons by Apple or Android, there isn’t a review of the medical value of the app itself. So healthtech companies must undergo their own due diligence and ensure their app complies with all existing regulations. Once your app meets target market specifications, regulations and best practices, you should run it past the people that will actually use it through focus groups and surveys. Does the app solve a specific real problem? Would users be willing to pay while using your app? It’s not important that professionals or patients like your app at this stage. Instead, you must find out whether or not they will use it. App founders, including but not limited to the health industry, are concerned that spending time doing market research slows down the business. It’s actually the opposite. The more market research you conduct, the faster your app will move to launch. Businesses that fail to do enough market research spend too much time and money trying to make their product fit the market. For example, you won’t have to spend time adding a new feature that your customers are asking for or removing any older features that nobody wants. You’ll be ahead of the game. Save money. And make a better healthcare mobile product. Modern customers expect a great user experience but the healthcare industry is traditionally ill-equipped to deliver a flawless digital strategy. In fact, while 66 of the 100 largest hospitals in the United States offer consumers mobile health apps, only 2% of patients are using them, according to a new report published by Accenture. Building a great health app is done by hiring a great digital strategy and mobile app development agency. Don’t try to create it in house. The following tips are key to finding the perfect healthcare mobile app development solution. The best development agencies should be able to guide you from the inception of your app to launch and beyond while giving you input based on their experience with previous applications. The best businesses already know what works well because of their collective knowledge which goes well beyond a specific product. Whereas some healthcare companies are often hesitant about working with healthcare app development partners because they fear these agencies don’t know a specific product well enough, it’s more likely the opposite. You know only the app you’re trying to build, but an agency working in the healthcare space has witnessed the birth of hundreds of similar apps. You want to tap into that knowledge versus narrowing it down to just the people you’re working with day in and day out. Great developers care about the user experience more than about anything else. Because great agencies look at every new healthcare development project as yet another resume maker –– and the design of an app impacts its overall usability –– a digital partner is only as successful as the product they are building. So as you search for a partner, look at their portfolio for apps that look just as good as they function. 21% of millennials will delete an app from their home screen if it doesn’t look good. The app store is full of healthcare apps and yours needs to stand out. The mobile app design must be a top priority and it will define how patients or health professionals interact with it. Often standalone developers will just focus on creating the app completely disregarding the user experience. Find a team that will carry out all the necessary tasks to ensure your app becomes a success. App development is not a one-time thing. It will need to be changed and updated every so often from adding new functionalities to addressing customer feedback. You need to find a partner that you can build a relationship with. Once the app is live and hosted, you need them to stick around. Finally, don’t just choose a developer because they are quoting you lower than your competitors. You want to build the best product, not the cheapest. You don’t want to end up paying someone to fix another developer’s mistake. And that’s not a good thing. It means many of our clients have wasted hundreds of thousands, sometimes millions, and built the wrong product. Always choose the best team you can afford. That will pay off dividends in the long term. Every. Single. Time. All mHealth apps must connect with EMRs and EHRs. For reference, the following definitions have been taken from The Office of the National Coordinator for Health Information Technology. “Electronic health records (EHRs) focus on the total health of the patient, going beyond standard clinical data collected in the provider’s office and inclusive of a broader view on a patient’s care. How can you integrate health apps and EHRs? Integration must take into account the professional’s or patient’s day-to-day life and workflow. Design should support mobile-integrated therapies (MITs) into a single EHR. Developers must eliminate redundancies between the systems, where app users and EHR users might enter the same data into different fields. Multiple environments must be secure, but security must not keep them from interacting with each other. Both halves of the integration, especially patient-facing apps, must work natively on as many mobile devices as possible. Apps must be able to run even when network connectivity is sparse or intermittent. Support teams familiar with the technology must be available to help. The two systems must adhere to common standards; for example, the same measuring units. The team working on integration must be ready for a more complex process than anticipated. There are over 700 million iPhone users worldwide. There are also over 25 million Fitbit users worldwide. This presents an opportunity for healthcare mobile app development companies to tap into the data these apps collect. Communicating with the Health app provides doctors with an accurate reflection of how active a patient is every day. But the bottomline is simple: you can build a good product on your own, but what makes a product amazing, is whether that product integrates with other apps and wearables a user may use. For example, I love how how my Strava tracking app integrates with MyFitnessPal and my Apple 4 watch. That way, I get to see how my physical activity and calorie intake impact my overall health stats on any given day. App integrations are typically a phase 2 deliverable for most apps. But the lesson here is to make sure you build a long term app for your healthcare app development cycle which accounts for relevant and useful integrations over time. One of the biggest issues facing the healthcare industry in the US is that current legacy systems are not able to handle the rapid technology advancements being made every year. As part of your healthcare mobile app development, you need to ensure that your product can adopt new tech stocks over time. AI in healthcare is huge. And we’ve covered the topic at length in other articles (here, here and here). 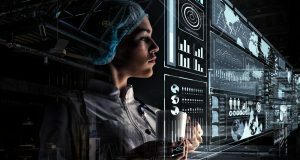 And this article will give you a great summary of the coolest companies leveraging Artificial Intelligence in a way that is revolutionizing the healthcare industry. As Toby Nwazor expertly points out in a recent Entrepreneur article, Artificial Intelligence is becoming a commonplace technology in the healthcare field. 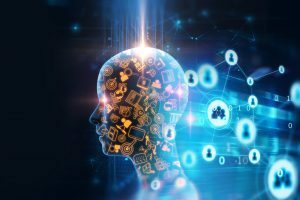 From digital consultations to personalized medicine, to robot surgeons, we’re no longer talking about if AI is coming to healthcare, but how quickly companies in the health space are catching up with the times, and same with AI in pharma. One particular field of AI that is useful for the healthcare industry is neural networks. Neural networks are self-learning and trained rather than explicitly programmed. They are already being used as part of drug discovery processes and detecting cancer cells in the body. So, in the future, healthcare apps may use neural networks to enable patients to self diagnose and recommend treatments, without the need for a doctor. Blockchain technology is most commonly known for its use in cryptocurrency. As defined by Don & Alex Tapscott, the blockchain is an incorruptible digital ledger of economic transactions that can be programmed to record not just financial transactions but virtually everything of value. The blockchain is very secure and immutable i.e. tamperproof. These qualities make it potentially useful for improving the security of patient data on healthcare apps. Blockchain is an incredible technology and we’ve only scratched the surface of what it can do for healthcare. If you’re curious to learn more, read about the following companies who’ve released healthcare products using blockchain technologies: PatientSphere, Hu-manity and Blackberry. Virtual reality (VR) uses computer technology to create a simulated environment and places the user inside the experience. 55% of physicians want to use VR to learn about new treatments. VR could be used as part of an app to take a patient to a place of comfort as a way to reduce stress and treat mental illnesses like anxiety and depression. Also check this awesome interview I did with David Badri which shows how Johnson and Johnson is leveraging VR to help doctors get better at their job. The Internet of Things (IoT) can be used to provide continuous data about patients that can be analyzed to improve the quality of care. The Apple Watch and the aforementioned HeartGuide are products that sync this data to health apps. Compatibility with voice communication products like Amazon’s Alexa or Google Home could also become part of healthcare mobile app development. They may be able to help patients decide when to take their medication or assisting with compliance for medical studies. 70% of physicians are interested in watching medical training videos. Furthermore, 46% of patients diagnosed with a chronic condition want to see videos to learn more about their condition and its treatment. Businesses concerned with healthcare mobile app development must continually improve their digital products through mobile app analytics. 59% of US consumers say they expect the healthcare system to offer the same level of service and user experience as companies like Amazon. People cannot stand bad user experiences as 71% of all app users churn within 90 days. This is across all industries. Here are two ways you can increase customer retention and improve the user experience. A/B testing allows healthcare product teams to test out multiple user experiences to determine which is the most effective at achieving a specific business goal. Continual A/B testing leads to vastly improved user experiences and better key performance indicators. For more about A/B testing and its benefits, read this article. Mobile app analytics are used to measure a user’s behavior, find where they trip up and attract new customers. Invest in a tool that will help you better understand how customers respond to the experience. For example, Mixpanel’s platform can tell if users are coming back after adding or improving the app’s features. Retention then provides insight that helps make a product stickier over time. Alternatively, Amplitude identifies critical drop-off points in product paths and optimizes marketing and sales funnels. You’ve had the vision and finished the healthcare mobile app development process. Now you need to get actual user adoption. Remember, at least 30-35% of your total budget should be reserved for marketing. Think of the old adage… if a tree falls in the woods and no one hears it, did it make a noise? Ultimately, your app needs to “make a noise” by getting people talking and using your app. Define a marketing strategy to get adoption depending on who you are trying to sell to. B2B businesses selling to hospitals and medical device manufacturers will require different techniques compared to B2C businesses. Blog posts, infographics, testimonials and short videos are the best ways to grow your online presence and get a product noticed. Once people start downloading and using the app, your goals can then shift to keeping them engaged. Here are some tips to successfully market your healthcare app. Social media is essential to building an audience and can increase the number of downloads while being cost-effective. Your app requires a social media profile across all major channels like Facebook, Instagram and Twitter. Ensure that there is a link to your website and app store download page. Add an interesting app description and screenshots to complete the setup. Now for the marketing. Facebook and Instagram ads are very powerful in attracting new customers to your new healthcare app. Check out their App Install Ads that will promote your app across multiple channels simultaneously. If you don’t have a budget for ads, you can use your social media pages to share blog posts and infographic content with followers. A clean and professional landing page builds trust and confidence in the app, especially when it’s optimized for mobiles. Don’t be one of the 50% of businesses that don’t adapt their sites for mobile usage. In addition, remember that the most important thing about a landing page is the ability of that page to track conversions (via analytics). This is a crucial metric for marketing campaigns. Ensure the headline grabs the user’s attention along with clear call-to-actions (CTAs). Again, like on the social media pages, add links to your app in the App and Play stores. The website’s content must also include your app’s keywords. Search Google to find similar keywords an increase your brand’s visibility in search results. Finally, it may be worth having a video on the landing page that explains what app does and how a user would benefit having it. This can improve by 86% if implemented correctly. Why do people still knock on doors trying to sell things? Because it works. Visit a medical practice and hand out fliers, postcards or QR codes to patients, doctors and other professional staff to promote your app. Of course, this is a lot harder to track than the above methods but word of mouth and referral marketing is own of the most powerful marketing tools in your arsenal; word of mouth is the primary factor behind 20% to 50% of all purchasing decisions.